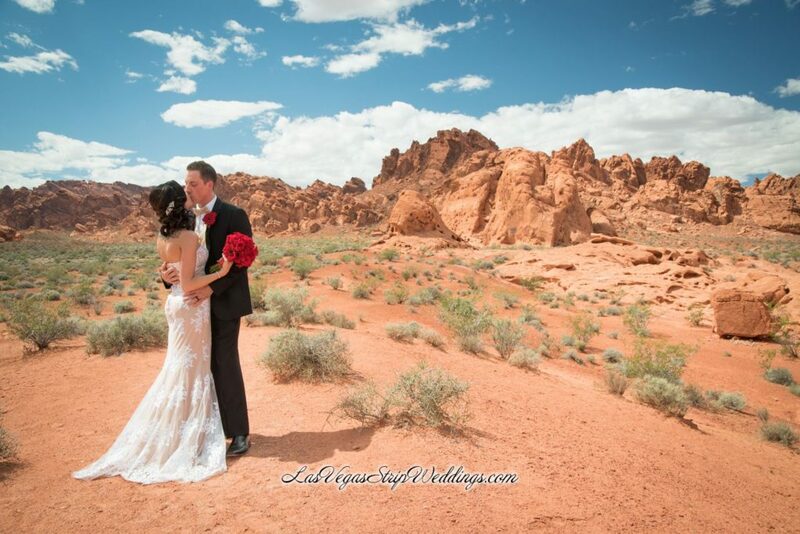 $2,999 – ALL INCLUSIVE VALLEY OF FIRE WEDDING! Three hour Complimentary Limousine for Bride & Groom plus 4 guests from hotel to ceremony and return to hotel. Additional Limousines & larger vehicles available at an additional charge. 18 fresh roses arranged to form a beautiful bouquet in red, white or pink. Other colors and flowers are available for an additional charge. Six fresh roses arranged to form a beautiful bouquet in red, white or pink. Other colors and flowers are available for an additional charge. A single dressed rose for the Mother of the Bride & Groom. A rose to adorn the lapel for the Bride & Groom’s father. Additional Limousines & Larger vehicles available for an additional charge.